Flipkart has entered into a partnership with the leading Indian travel company MakeMyTrip. It has launched a new feature called “Flipkart Travel”. Its customers would now be able to book flight tickets without having to leave Flipkart. MakeMyTrip has three brands at the moment – MakeMyTrip, Goibibo and redBus. Through this corporate tie-up, Flipkart will offer the services of all these brands. Flipkart has been eying to be a one-stop shop for all digital purchases in India. The Indian travel industry is witnessing a growing number of people choosing the online route for travel bookings. The tie-up between Flipkart and MakeMyTrip will enable Flipkart to diversify its offerings. Its consumers would not need to install a separate app for travel bookings. On the other side, MakeMyTrip would be able to drive sales through the massive consumer base of Flipkart. At the time of writing of this post, Flipkart has already rolled out the feature to book flight tickets. Sources say that Flipkart will add hotel, cab and bus bookings soon. The company will process all payments and the consumers do not have to leave Flipkart’s app to do the bookings. Flipkart is also offering some inaugural discounts for bookings done through its app. Flipkart seems to be looking beyond e-commerce. It is likely to enter the offline retail market very soon. With the recent acquisition of a huge stake by Walmart, Flipkart looks to have some great plans for the near future. It would be interesting to see how the consumers respond to this offering by Flipkart Travel. This strategic partnership was announced through a press release on 5th April, 2018. Commenting on the partnership, Deep Kalra, Founder & Group CEO, MakeMyTrip Limited said, Flipkart is one of the most exciting companies of our times and we are delighted to partner with them to catalyze the massive online travel opportunity in India. This partnership will help us reach out to an even wider consumer base and further open up the online travel market in a significant way. Kalyan Krishnamurthy, CEO, Flipkart said, Flipkart and MakeMyTrip have played a defining role in shaping the consumer internet ecosystem in India and bringing millions of people online. This strategic partnership helps us make travel booking a seamless experience for customers, even those in the farthest regions, while also furthering our goal of being a one-stop destination for all digital transactions online. 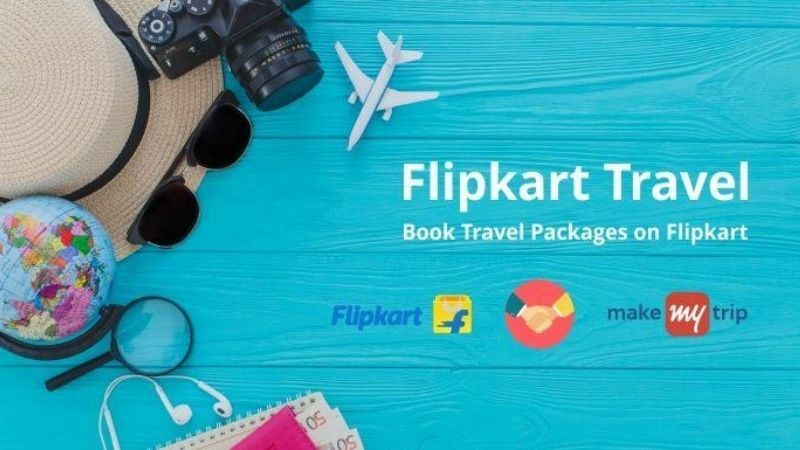 If you have used Flipkart Travel, kindly let me know your experience in the comments section below.